Qynergy’s governance provides the structure through which the company sets and pursues our objectives, while reflecting the context of the social, regulatory and market environment. Governance is our mechanism for monitoring the actions, policies and decisions of the Corporation, and involves the alignment of interests among our stakeholders (such as employees, investors, customers, local communities,). Dr. Viswanath “Wish” Krishnamoorthy is the President & CEO and sets the tone for Qynergy’s business. He has a technical/manufacturing background with a knack for developing business & strategic relationships. His focus is on governance and business development. 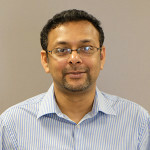 He has a unique talent for evaluating technologies, so he works closely with innovators, collaborators and customers to develop ideas from concept to prototype. He embodies Qynergy’s vision of creating an open environment for sharing ideas and empowering and energizing scientists and engineers to be creative. Prior to joining Qynergy, Wish worked at Uniroyal Optoelectronics (UOE) as Director of Process Development and Manager of the Fabrication facility. He developed the characterization facility, managed the device fabrication facility, and directed process development efforts. Before joining UOE, Wish’s early career provided him with a strong academic background in a wide range of areas. His doctoral work focused on developing strain relief buffer structures for the InGaAs/GaAs material system, and his designs led to some of the lowest defect density InGaAs material grown on GaAs to-date. He worked as a post-doctoral researcher at Cornell University to develop cost effective, high-efficiency poly-silicon solar cells in collaboration with Mobil Solar Corporation. During this time, he developed processing methodology to improve the modular efficiency of solar cells from about 8% to about 12%. He then rejoined researchers at the University of Florida as a staff scientist, where he worked on ion implantation in silicon, transient enhanced diffusion in silicon, phosphor materials, carbon nanotubes, wide band gap compound semiconductors and other scientific projects. Wish was appointed to the post of Associate Director of the Major Analytical Instrumentation Center in 1999, where he conducted research on novel materials, collaborated on projects, and taught courses in materials analysis and microscopy. He has over 40 publications in refereed journals and proceedings and has delivered over 30 conference presentations. Wish holds a Bachelor’s degree in Metallurgy from the Indian Institute of Technology in Madras, India, as well as Master’s and Doctoral degrees in Materials Science and Engineering from the University of Florida. As Director of Finance, Sara is responsible for daily financial operations and strategic planning for the company. 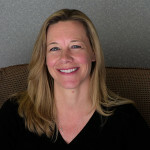 She has a bachelor’s degree in Psychology from the University of Iowa and a master’s degree in Accounting from San Diego State University. Subject to the overall governance of the entire Board of Directors, Todd has been responsible for the general charge, control and supervision of the corporation since April 2006. Not only is he responsible for the management of company resources to ensure that the overall programmatic, technical, business and administrative functions run smoothly on a daily basis, but he has also focused the corporation through a change in strategic direction and led discussions aimed toward building strategic partnerships with outside companies, innovators and government agencies. Todd was one of the contributing founders of Energy Works, R&D Systems, Inc. which became Qynergy Corporation in 2001. He served as Business Manager for the Office of the Secretary of Defense (OSD) High Energy Laser Joint Technology Office (HEL JTO) with Schafer Corporation, as well as Boeing-SVS, Inc. and Air Force Research Laboratories (AFRL) Advanced Electro-Optical Systems (AEOS) Program at the Maui Space Surveillance Site (MSSS). Todd has received several awards, honors, and invitations to speak on topics ranging from business management to spiritual wellness training to coping with life-changing adversity. In 2011, he received the Distinguished Alumni Award from the College of Business at New Mexico State University (NMSU). Todd has maintained long-term involvement with several business and community organizations, including Junior Achievement of New Mexico, National Multiple Sclerosis (MS) Society , Rio Grande Office Leadership Council, and the NMSU Business Advisory Council. 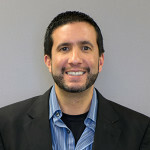 He is an entrepreneurial business advisor for Technology Ventures Corporation (TVC), and an active member of the Albuquerque Hispano Chamber of Commerce , North I-25 Business Association, and the Greater ABQ Chamber of Commerce. Todd is also an Elder of Group Life for Sandia Presbyterian Church (SPC), an Upward Youth basketball coach, an advisor and former CFO of the Wave Wellness Network, and an active member of Fellowship of Companies for Christ International (FCCI). Todd has a bachelor’s degree in Business Administration and Financial Management from NMSU and graduated from the Entrepreneurial Leadership Excelerator (ELE) Program in 2005. Todd and his wife Allison have two children, Jaden and Avery. 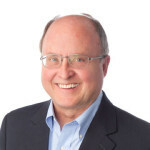 Dr. Chris Eiting is the Chairman of Qynergy’s Board of Directors. In his capacity as Chairman, he oversees the Board of Directors and Management for the benefit of Qynergy shareholders. Chris worked for the United States Air Force Research Laboratory (AFRL) at Wright-Patterson Air Force Base in Dayton, Ohio as a materials research engineer. There he studied molecular beam epitaxy (MBE) of silicon carbide (SiC) semiconductor materials. He and collaborators grew the first-ever high-quality homoepitaxial 6H-SiC layers by MBE using silicon and fullerene (C60) effusion cells. Chris then moved to Uniroyal Optoelectronics (UOE) in Tampa, Florida as a semiconductor research scientist. During his time at UOE, he developed improved efficiency blue, ultraviolet, and green light-emitting diode (LED) products using state-of-the-art gallium nitride semiconductor materials. He also developed a low forward voltage blue LED process that enabled UOE to compete in the mobile phone market. During his tenure as Qynergy’s Director of Engineering from 2005-2011, Chris was the Principal Investigator on several power- and energy-related projects and was responsible for directing the technical staff. He is currently a Principal Member of Technical Staff at Sandia National Laboratories, where he develops new technologies that ensure the continuing security of the United States. Chris received his bachelor’s, master’s and doctoral degrees in Electrical Engineering from the University of Texas (Austin), and has authored or co-authored more than 130 refereed journal publications and conference presentations. He is happily married to his wife Stephanie and enjoys his three children, Cameron, Claire, and Sasha. He is an active member of his community and participates as a Cub Scout leader, club soccer coach, board member and treasurer of a pre-school cooperative, and science fair judge. In his spare time, Chris enjoys reading, mountain biking, hiking, wood-working, and skiing. Dr. Bob Van Allen has over 30 years of experience leading missile defense research and development and systems engineering teams for the Department of Defense (DoD) and The Boeing Company. He has held many positions of leadership in the Air Force, Strategic Defense Initiative Organization (SDIO), and Missile Defense Agency (MDA). He is an expert in High Energy Laser (HEL) systems and supporting technologies, and was one of the first group of recipients of the Missile Defense Technology Pioneer Award. In 1991, Bob co-founded a start-up sensing and tracking technology development company, SVS Inc.; the company was featured in Forbes 500 and other publications as one of the fastest growing technology companies in the US, and was later acquired by Boeing. Bob is an excellent team builder and strategic planner. He currently consultants for multiple small technology companies and non-profits, serves on several Boards of Directors for small technology companies, and is a member of the American Institute of Aeronautics and Astronautics (AIAA) and the Directed Energy Professional Society. Bob has bachelor’s, master’s and doctoral degrees in Electrical Engineering. He enjoys spending his spare time with his wife, children, and seven grandchildren. InQTel is a non-voting board member. A critical factor in our success has been our well-equipped, adaptable facilities. With 6500 sq. ft. of work space that houses several labs, our facility simultaneously accommodates a wide variety of research and development projects. And the Qynergy Team isn’t limited to resources within our brick and mortar walls: we’ve developed a network of strategic technical and business partners over many years to complement our in-house capabilities. For many of our R&D projects, we’ve also leveraged key New Mexico facilities including the Advanced Materials Laboratory (AML) and the Manufacturing Training & Technology Center (MTTC) at the University of New Mexico, and Sandia National Laboratories’ Center for Integrated Nanotechnologies (CINT). We leverage business relationships and grow our capabilities based on specific applications.